You think your ability to chug down a hot cup of coffee in just five minutes is cool? Then you probably haven’t heard about the out-of-this-world gastronomic accomplishments we're about to show you. 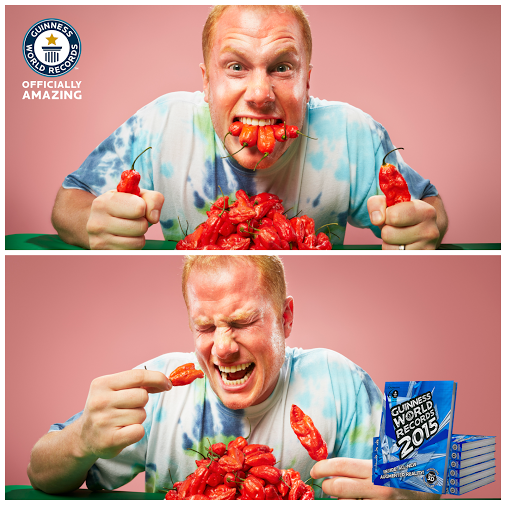 From stunts that will test your stomach's capacity to feats that will tire out your fingers, here are food-eating records that are equal parts impressive and insane! 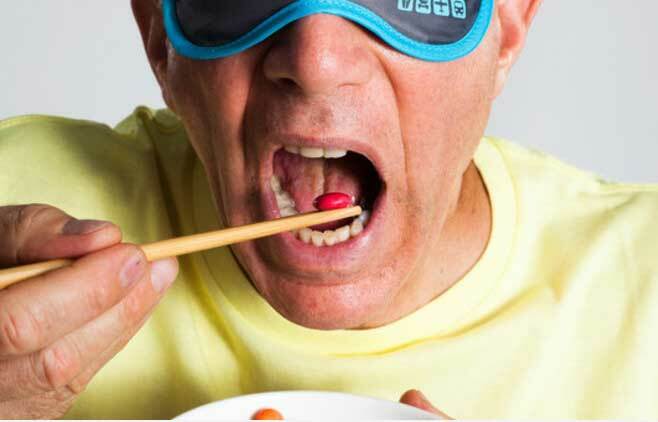 American Ashrita Furman was able to eat 20 M&Ms blindfolded in one minute back in 2011. We’d also like to give him an award for excellent self-control: We’d probably be gobbling the whole set a handful at a time. Considering that lots of rice and chopsticks are visible around these parts, you’d think this record belongs to an Asian. But no: A Canadian named Bob Blumer ate 134 grains of rice in three minutes using chopsticks at the Taipei Culinary Exhibition in Taiwan on August 30, 2010 for the TV show Glutton for Punishment. 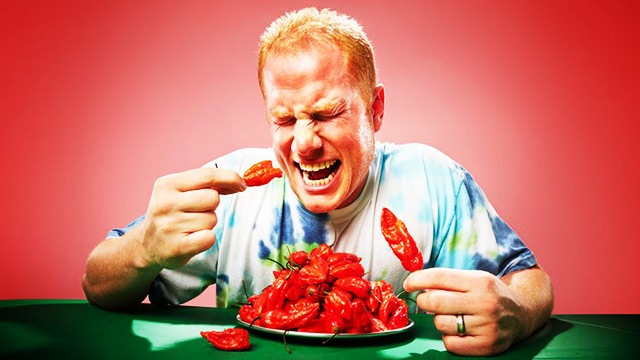 The Carolina Reaper is the hottest chili in existence, with a heat level of 1,500,000 to 2,200,000 Scoville units (in contrast, Jalapeño peppers only score 3,500 to 10,000 Scoville units). An American named Jason McNabb miraculously managed to eat three of these bad boys in 10.95 seconds on September 18, 2014. No word if his tastebuds are still functioning. Need a massive dose of Vitamin C? 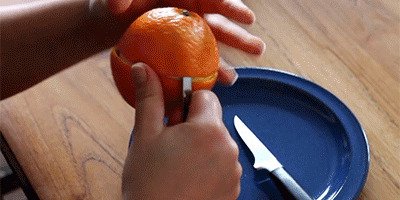 Try peeling and eating six oranges in three minutes. Who knows, you might just beat the record set by Indian Dinesh Shivnath Upadhyaya and American Ashrita Furman (yep, him again)! This record belongs to legendary Japanese speed eater Takeru Kobayashi. 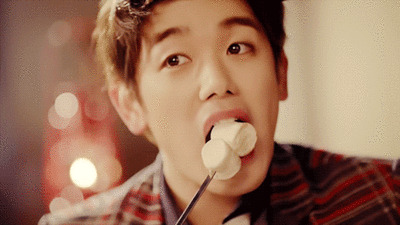 On March 8, 2010, he set a world record by eating 29 meatballs in one minute—that's almost two meatballs per second. What's even more impressive is how he manages to keep all that food in—the man only weighs around 60kg (around 135 pounds). 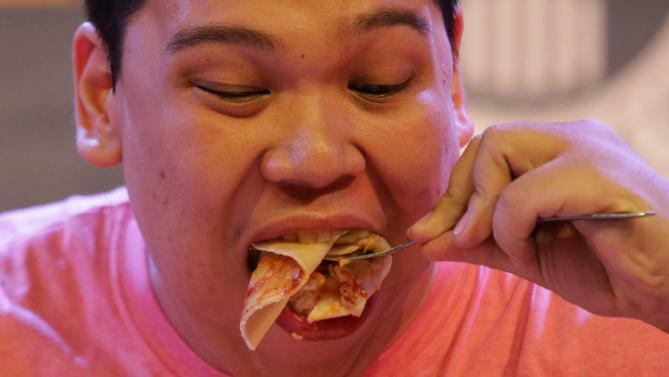 Kelvin Medina chowed down an entire 12-inch pizza in just 23.62 seconds on April 12, 2015. And in case his sounds familiar, well, that's because Kelvin’s Pinoy! You know what goes well with pizza? Ketchup. You know who really loves ketchup? 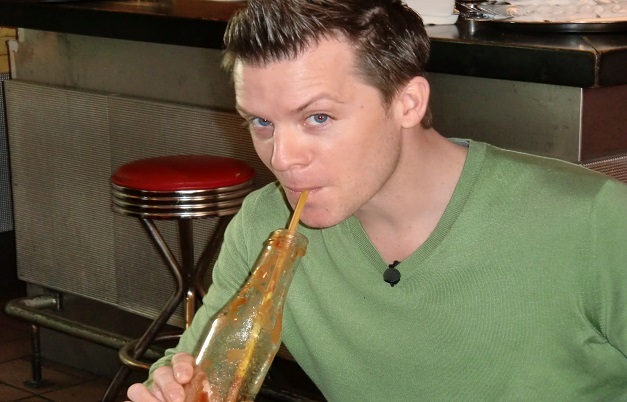 German TV reporter Benedikt Weber, who gulped down the contents of a 14-oz bottle of tomato ketchup using a straw in 32.37 seconds. 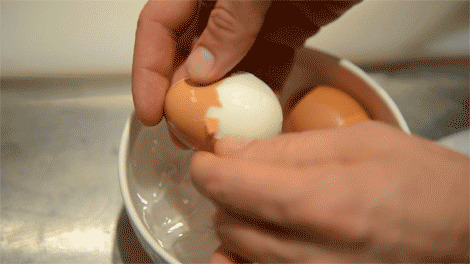 Ashrita Furman is at it again, peeling and eating six eggs in one minute on March 23, 2012. We can’t help but wonder what this dude does in his spare time. Try to beat Maltese Anthony Falzon’s marshmallow-eating record: He downed 25 marshmallows in one minute on March 25, 2013. You think the chopsticks records were difficult? Try eating corn kernels one at a time using a toothpick, like what Briton Ian Richard Purvis did. 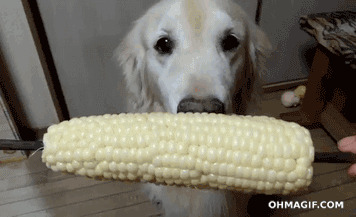 Purvis was able to eat 236 kernels in three minutes on August 27, 2003.